When people think about UPS systems, they think about the ones they see in their homes and offices, which allow them to use their computers with backup power in case of a disruption in the power supply. 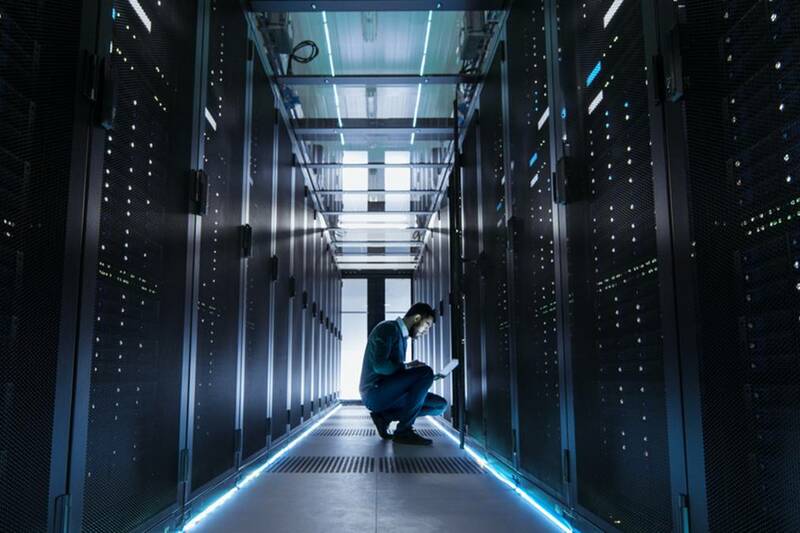 While some loss of work due to a power outage can become an inconvenience for individual users, this can lead to major losses in the case of large scale data centres or in systems that are installed in environments with wide temperature fluctuations. In company server rooms, UPS requirements can be extremely demanding. Servers, the network infrastructure, telecommunications and internet systems need higher levels of reliability and protection. In addition to regular battery backup functions, the UPS also needs a much higher level of protection. Online UPS system regenerate regulated, clean power when operating from batteries or utility. This system eliminates various types of power anomalies and provides the server room equipment a much more stable power source. As with line-interactive and off-line UPS, a majority of modern day online UPS products on the market are designed for installation in a temperature-controlled and protected environment. But not all of these systems are situated in a server room or protected office environment. Today, a large number of industrial applications are extremely demanding, which is why there are online UPS with a far more robust design. These are referred to as industrial-grade or wide-temperature-range UPS. Server-level or office level products are generally rated to be used in an operating temperature environment of 0° to 40°C. But wide-temperature-range Uninterruptible Power Supply systems may have an operational temperature specification of –32⁰ to 65⁰C. This particular class of systems isn’t waterproof and need properly-protected enclosures in indoor as well as outdoor locations. Yet their wide operational temperature range, in conjunction with their high levels of protection and power conditioning makes online UPS’ the ideal solution in different types of harsh environments such as oil and gas industries. Having UPS backup power is vital in all of these operations, but the remote locations of these sites makes it prohibitively expensive to provide a temperature-controlled environment. The ideal solution is to use a wide temperature range online UPS. This provides ideal power to the equipment over various seasonal temperature extremes, while providing high levels of protection against various power quality problems. The market for wide-temperature-range UPS systems is relatively new, making it necessary to be prudent and careful when buying a system stating these capabilities. Due to the unique and critical challenges present when installing these systems, it’s crucial that all safety measures be followed in the work. It’s also important that the functioning and power capabilities of the system be tailored to your specific needs and the setting the UPS is to be installed in.